"A.R.E.S. 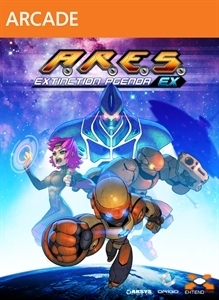 Extinction Agenda EX" is the upgraded version of A.R.E.S. Extinction Agenda, the award-winning 2.5D action-packed side-scrolling platform game that originally hit Steam in 2009. Upgrade Complete – Armed with new weapons, abilities, and even a new playable ally, humanity’s secret weapon has never been stronger.